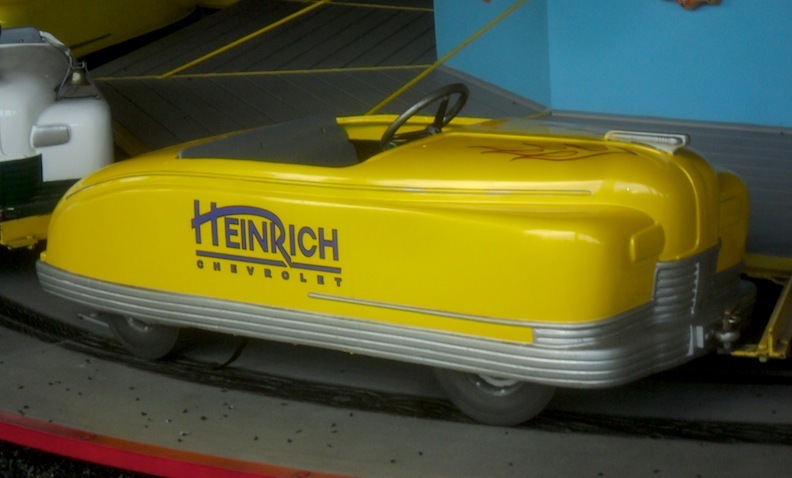 Not every RealRide reader will be able to climb into today’s ride, which is just one of the vehicles on the vintage 1946 Allan Herschell Kiddie Auto Ride, located inside the Olcott Beach Carousel Park. A mere quarter will get your pint-sized human a ride in this car (or one of nine others), or on any of the other four vintage rides located in the park across the street from the beach, just a (long) swim across the lake from Oshawa, Ontario. You can see this ride on page nine of the original Herschell catalog right here: Herschell catalog Jim Corbran, RRofWNY …and check out our Facebook page: Un-American Classic Cars The post RealRides of WNY appeared first on Buffalo Cars.